Meghdoot’s Mystique Masala offers authentic Indian cuisine in the centre of Petworth. Taking a leaf out of the culinary extravaganzas of India Meghdoot’s offer a repast of Indian cuisine in an environment of ambience and hospitality, evocative of Indian Culture.Every meal has to be a feast, and every feast, a gourmet’s delight. The Angel Inn is just 300 yards from Golden Square in the centre of Petworth. The inn, which has medieval origins, has recently undergone a complete refurbishment. The unspoilt bar boasts ships beams, wooden and slate floors, stone walls and three fireplaces, one of which is used to spit roast joints of meat. The Angel Inn is a warm and welcoming Inn; an idyllic base set in the South Downs National Park with much to see and do in the town or from which to explore the many interesting places nearby.There are six comfortable bedrooms, all with an n suite bathroom or shower room. Guests also benefit from free on-site parking. This charming family-run 16th Century coaching inn with a large Inglenook fireplace and set within beautiful gardens, is a real gem in the heart of the West Sussex countryside. 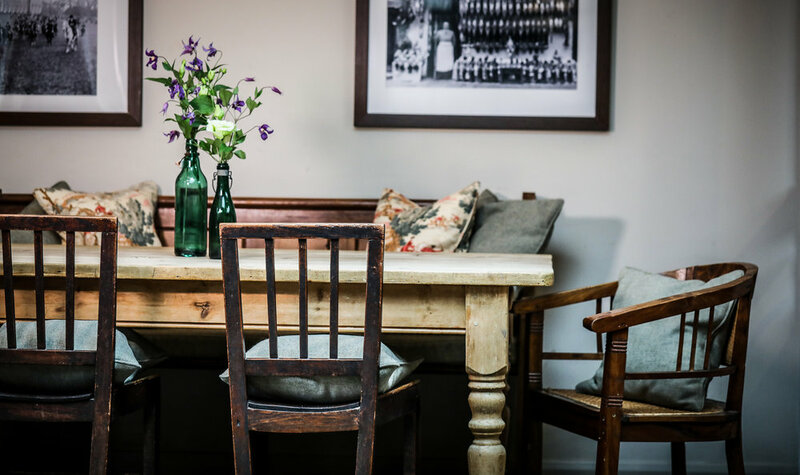 A traditional country pub with a great restaurant near Petworth, The Cricketers at Duncton, is the ideal location to enjoy real ale, fine wine & fantastic, home-cooked food, in a relaxed, friendly atmosphere. We are great believers in using local produce, suppliers & craftsmen wherever possible, which is reflected in our seasonally-based menuand bar offerings. The Cricketers is perfectly situated for horse racing and motorsport at Goodwood and with it's gorgeous beer garden is an ideal venue for families and walkers seeking a traditional country pub with real ales and great food. We can also cater for private parties and functions, whether it's a wedding, birthday party, car enthusiasts club or you simply want to celebrate your special occasion in a country pub with fine food. In addition to our bar, restaurant and beer garden we have our own function room which is available for hire. We also run a monthly quiz night to test your general knowledge - space is limited though, so be sure to book your table. Please call to find out the date of our next quiz. To find out more about The Cricketers or to book a table or enquire about our function room, simply contact us by clicking the link below. You can also read more about the pub's amazing cricketing history. Main menu served from 12:00 - 14:30 and 18:00 - 21:00 Monday - Friday. A charming and characterful old place, The Star in Petworth is steeped in history. The Three Moles is a traditional countryside real ale house in the beautiful village of Selham, the heart of the South Downs National Park. Having been recently taken over by the new landlords, Tom & Ollie, the pub has been given a fresh burst of life and is regularly frequented by many local and not so local residents along with many visitors to the area. The Three Moles is very much the village living room where everyone is welcome (including well behaved children and dogs) to come and have a great time. There is always a very friendly atmosphere and our loyal local customers just cannot keep away! With the introduction of a new menu that offers a range of traditional ‘pub grub’ options ranging from bar snacks to evening meals and Roast Dinner on a Sunday, the pub has really come back to life. To ensure the history and tradition of The Three Moles is upheld, we do not let food take over the pub and have reserved the seating at the bar end of the pub for those who just want to come in and enjoy a drink. We also have a large beer garden, plenty of outdoor seating and a large marquee in the garden to cater for large group bookings. The Three Moles is proud to be a traditional country pub and takes great pride in the quality of the beer we serve and the glassware it is served in, making sure every customer enjoys the perfect pint served at the correct temperature and in the correct glass. Having been recently awarded a St Austell Brewery Masters Certificate for serving their beer to the highest standard and our Cask Marque Certificate of Excellence just goes to show how much we care. Our Beer and Cellar Quality is regularly independently inspected by Cask Marque Assessors to ensure we maintain our high standards, making sure you receive the perfect pint every time! Please visit our website for food service times. Located in the heart of West Sussex, White Horse Graffham is a purveyor of fine English dining and beautiful rooms with direct views of the South Downs National Park. Our new food and bar menus are currently evolving to provide you the best dining experience. White Horse Graffham is a unique bed & breakfast with a high-end Restaurant in a peaceful location under the South Downs National Park, on the edge of Graffham village. Each room opens onto the courtyard via its own front door, where you can sit and enjoy the views. There are several beautiful market towns such as Petworth, Midhurst and Arundel to name a few. They all provide excellent and interesting shopping, farmers markets and historic houses to visit. Goodwood with its Festival of Speed, Revival and horse racing, is only around 7 miles away. Cowdray for golf and polo is on the doorstep. Come and enjoy a relaxing or energetic getaway, a short break, or a luxury stop off from the South Downs Way.